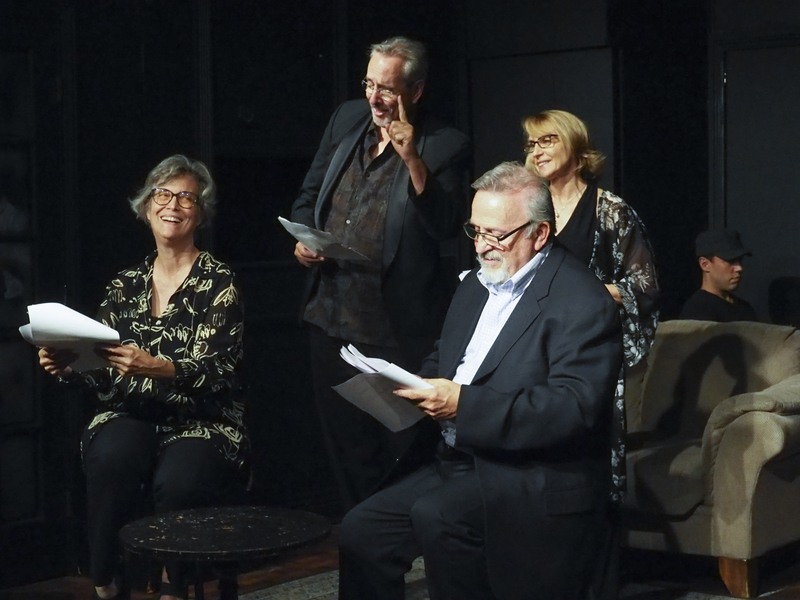 For our 2018 Short Play Series, we gathered at the Skiptown Playhouse in Hollywood for a staged reading of four pieces—three stageplays and one screenplay—from Exposition Review Vol. 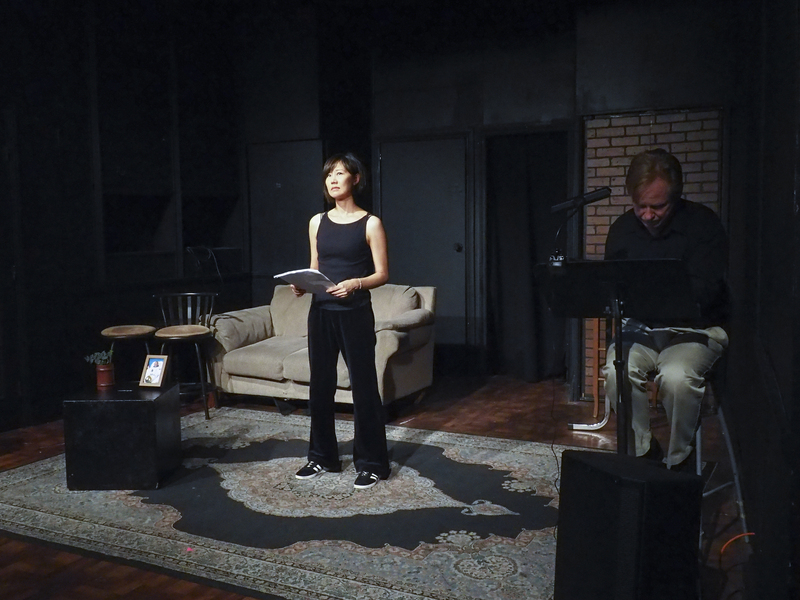 III: “Orbit.” We were proud to showcase a group of talented Los Angeles directors and the actors they cast, and to see their interpretations of the published scripts unfold on the stage. 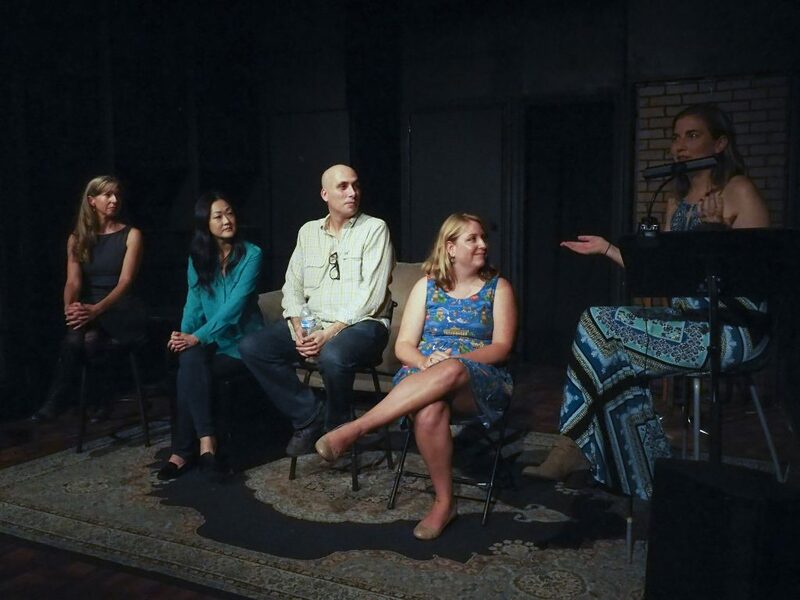 Unlike last year, when all of our stage and screen writers were LA natives, our scriptwriters hailed from around the country. As such, we were able to put our directors in the spotlight—both literally and figuratively, giving them more creative freedom as well as bringing them on-stage for a Q & A after the performances. 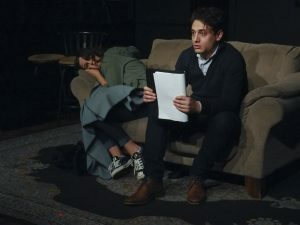 With an all-star set of directors and actors, this year’s stage reading really shined, and, as always, it brought the written words to life in a new way and illuminated the stages of the artistic process. In a Q & A with Expo Co-Editor-in-Chief Lauren Gorski following the readings, the directors answered questions about acting, the Los Angeles theater and artistic communities, misconceptions of writers and actors, what they look for when deciding what to direct, and even mistakes they’ve made and challenges they’ve faced. All the directors have acting as a background, and with this Gorski asked them how they made the leap from actors to directors. Lenker never aspired to direct, but works started speaking to her, they made her want to get more involved in the creative process, to set the tone. 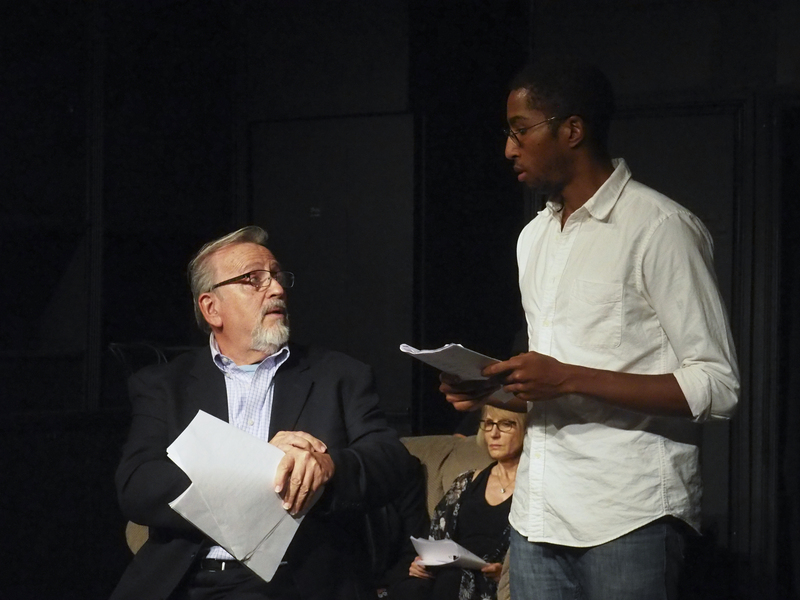 Rivas started directing a one-man-show, first creating with an actor, before moving on to direct one-acts and then full plays and Shakespeare. 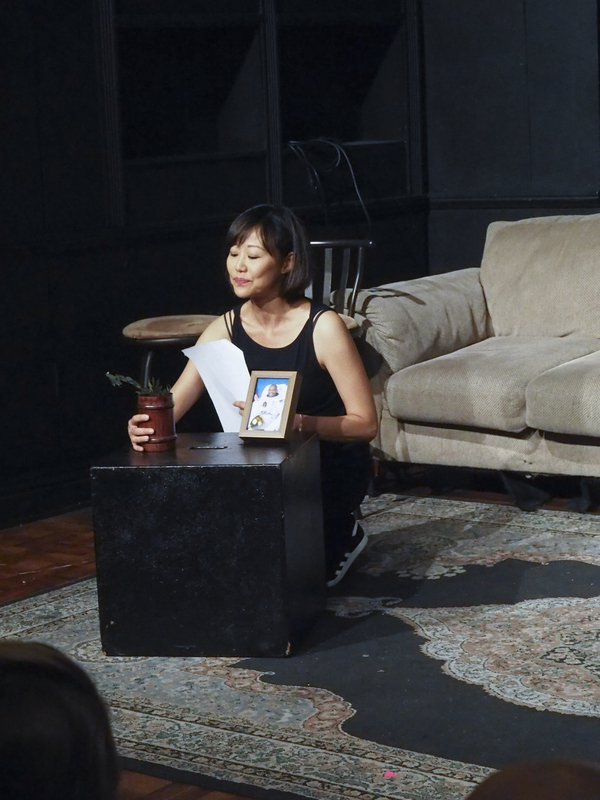 Lee was cast in a Korean-language play, and when she found out it was set to be directed by a non-Korean speaker, she had to do it. For de Lackner, her directing career began in film and moved into theater. Next up was the LA theater and arts community. 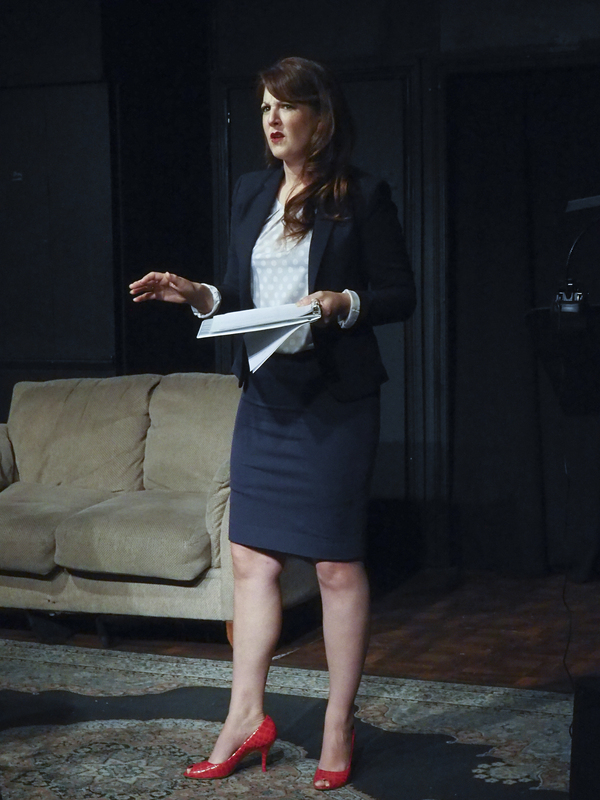 Even as an LA native, Lenker didn’t realize how vibrant the theater scene was until after college. She commented on the fact that there are more theater spaces here than in New York and on how many plays start here and end up on Broadway. She said, “There’s bad theater and there’s great theater, but there are opportunities to do great things. LA is breeding ground for new work.” Rivas finds vibrancy in the many levels of theater, from the incubator projects for emerging artists to the larger Independent Shakespeare Company and Downtown Rep. Lee pointed to the Ovation Awards, Steven Stanley’s Stage Scene LA, and Stage Raw for recommendations of what to see or theaters to join and commented on the “two degrees of separation” that connect everyone in LA theater. De Lenker loves the multitude of writers and with them, the new plays and opportunities to both work and watch. 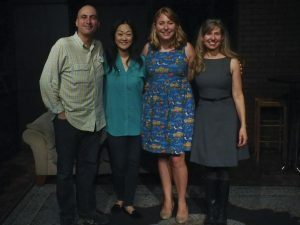 Sometimes writers and actors get a bad name in the director world, but everyone agreed that much of the “drama” of theater comes from scheduling and that working with writers is an important and helpful part of the process. Lenker mentioned Carrie Fisher’s quote to George Lucas: “You can write this crap but you can’t say it.” For her, making the dialogue feel real and digestible is the challenge of the actor and the director, and why she thinks casting is 90% of the job. Rivas debunked the myth of the diva actor, citing that actors have questions, they want to understand the motivation and and depth of their characters. He also noted that working with writers is a luxury because a director can ask him/her their own and the actor’s questions and better tell the story. Lee emphasized communication and wants writers to clarify—rather than concede without a discussion—when asked questions to help tell the story. 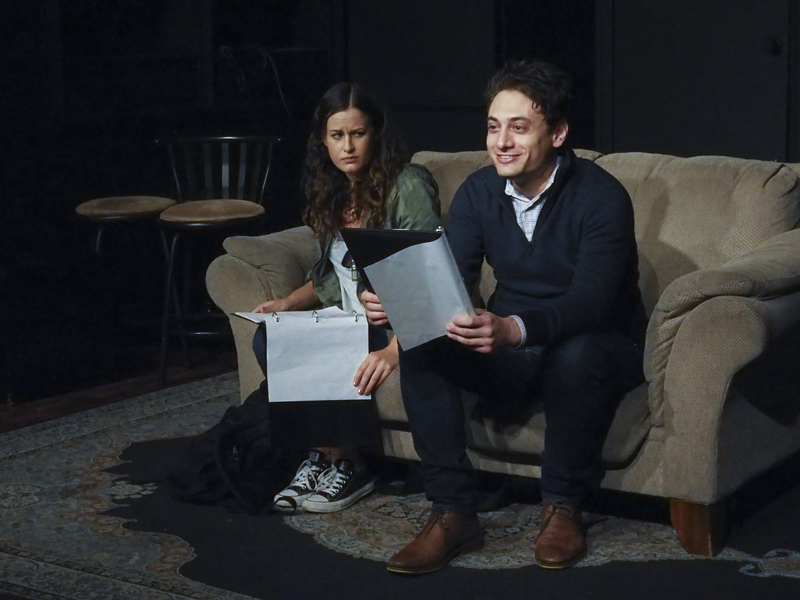 De Lackner found it a challenge to work when it’s not possible to ask the writer questions, preferring to talk about writers’ inspirations and what they want the audience to know. What Do You Look For in Writing? When asked what she looks for in writing, Lenker said things that make her laugh, especially on the page, as well as pieces that get to the truth of the human experience, that cut to the heart of things, again, on the page. She also likes women’s voices, the lack of which, she believes, is part of a lack of empathy in the world, as well as voices of people of color, who allow us to connect to their stories. Ivan applauds companies opening the stage to new voices. He likes laughs layered with gut punches, works that illuminate humanity, stories that take their time to let the world unfold, and universally truthful stories that he can use to create a world with actors. Lee looks for stories about the human condition that not everyone has heard, that expand compassion and bring people together. Finally, de Lackner looks for pieces with a positive influence and ripple effect, much like “Hitch,” which explores how you can transform someone’s thinking by showing a person that another way of looking at the world is possible. A question from the audience asked the writers what they found particularly challenging. 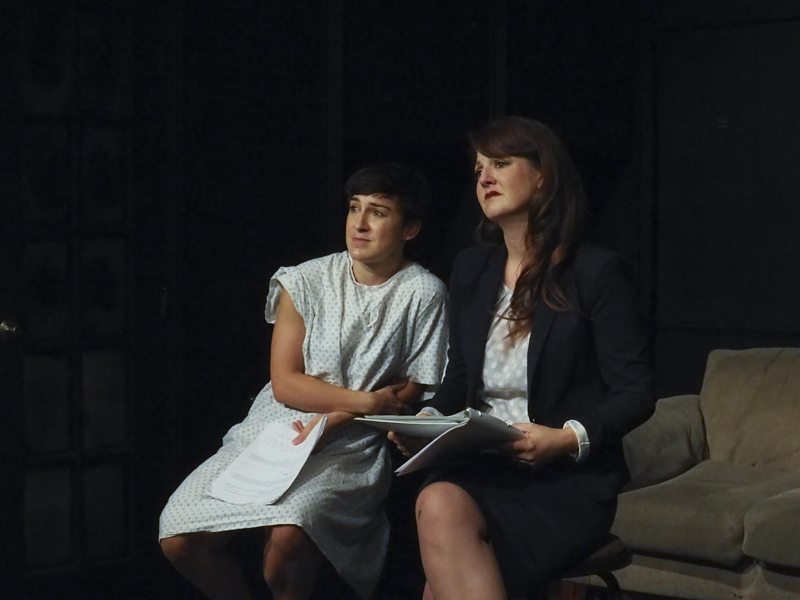 After loosing an actor more than half way through the process twice, Lenker found a better actor to play the role both times, and the chaos of her mistakes has taught her to trust the process. Rivas has learned the hard way not to assume everyone is on the same page and to trust actors to listen to their organic urges rather than assume they agree with the director. De Lackner said, “I’ve made a lot of mistakes, and I hope that I’ve learned from a lot of them. I’m still making mistakes and still learning.” And Lee said directors need to surround themselves with supportive people they trust and to trust the gut. It was a joy to watch the plays transform from page to play and to get insights from the four directors. 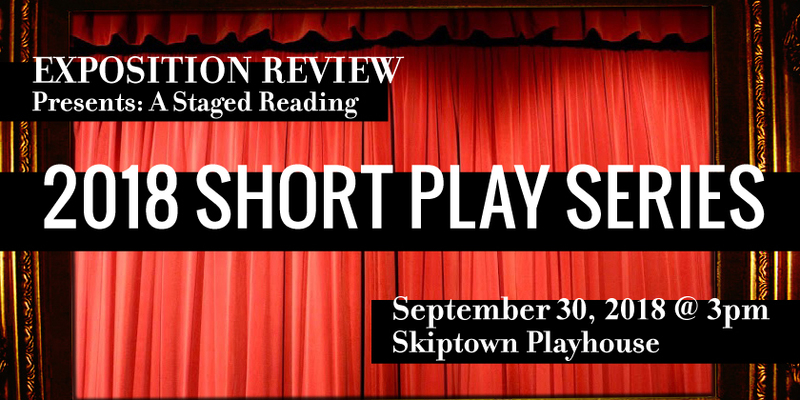 We look forward to the next round of Expo Presents: Staged Reading with the Stage & Screen in Vol. IV: “Wonder.” If you want the opportunity to have your stageplay or screenplay considered, submit here.